Rovio started teasing Angry Birds Stella back in February, and the game is available from today on Apple’s iOS platform and Google’s Android platform, and BlackBerry World. The video below gives you an idea of the gameplay in Angry Birds Stella, according to Rovio, the game is a new take on the familiar slingshot action of Angry Birds. Angry Birds Stella offers a new take on slingshot action. There are stunning visuals and animations, as well as an all-new flock of feisty characters with amazing superpowers. 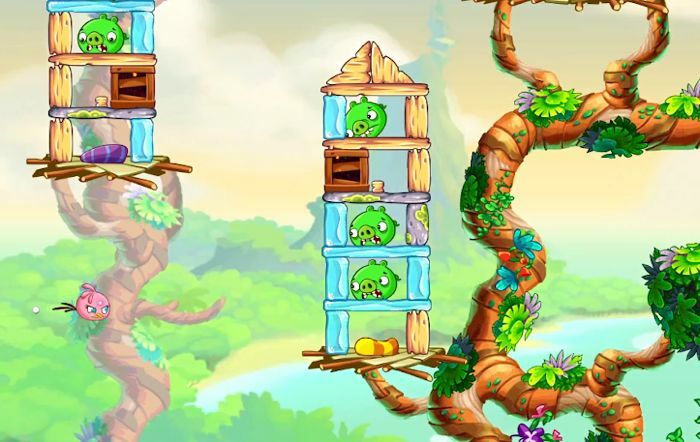 And they all live a previously unseen corner of the Angry Birds universe: Golden Island. Track down Gale and her piggy minions and recover Stella’s scrapbook! Use it to collect your achievements and unlock new variations of the characters, which you can see as stylized polaroids of Stella and her friends. Of course, with Stella, you can also get some Telepods figures to teleport straight into the game as playable characters! You can find out more information about Angry Birds Stella over at Rovio at the link below, the game is available on the Apple App Store, BlackBerry World, Google Play, the Amazon App Store and NOOK Apps.